19-time World champion, Pankaj Advani has reached in the final of Asian Tour 10Reds 2018 second championship here at Jinan, China. He will take on 2013 APTC Winner Ju Reti of China in the final, who defeated his compatriot Huang Zhong 5-1. Pankaj defeated the first championship winner Muhammad Bilal in an almost one sided affair 5-1. Pankaj was clearly in a dominating form and opened his account with a scintillating break of 93 points to take 1st frame lead. 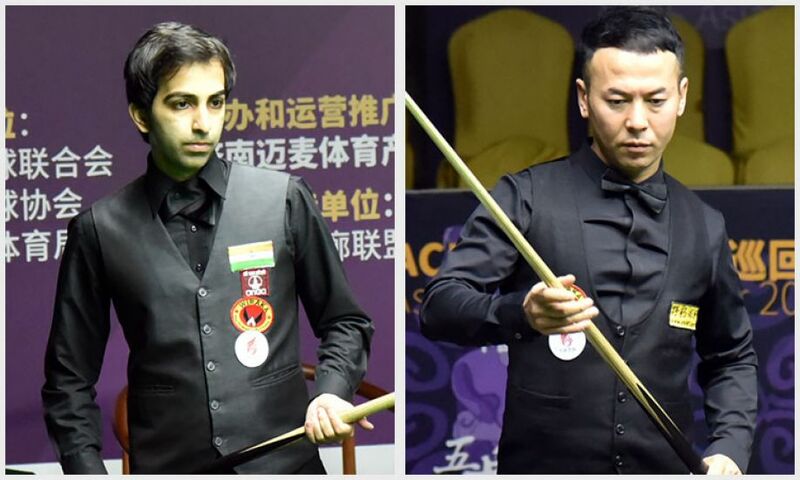 Though Bilal took the second frame but after that Advani posted two more breaks of 58 and 40 points in next two frames to enhance his lead by 3-1. Bilal had a chance of winning the fifth frame but on a score of 23 he miscalculated the shot and instead getting position for red, the cue ball cannoned with green to end his break. Even the safety didn’t work and Pankaj took away the frame. In the fifth frame, Pankaj once again crafted brilliant break of 84 points to close the proceedings and send home the defending champion, Bilal. In second semi-final, Ju Reti also dominated first four frame where he made breaks of 82, 68 and 95 to curtail Huang on single digit scoring in first four frames. However, Huang tried a recovery with a break of 69 points but once again Ju Reti posted another break of 65 points in sixth frame to seal the match 5-1. Now it will be interesting to see both of them in the final as one is a 19-time World champion and another former APTC winner. The final will be played for best of 11 frames at 2:00 PM Chinese time.